As the kids go back to school for many mums it means back to work and back to juggling school and sports pick ups and drop offs, the household and of course cooking. Isn’t it amazing how ravenously hungry kids are after a busy day at school? Vegie Smugglers offers a helping hand in creating healthy, tasty meals with lots of ‘hidden’ goodness that get the thumbs up from the whole family. 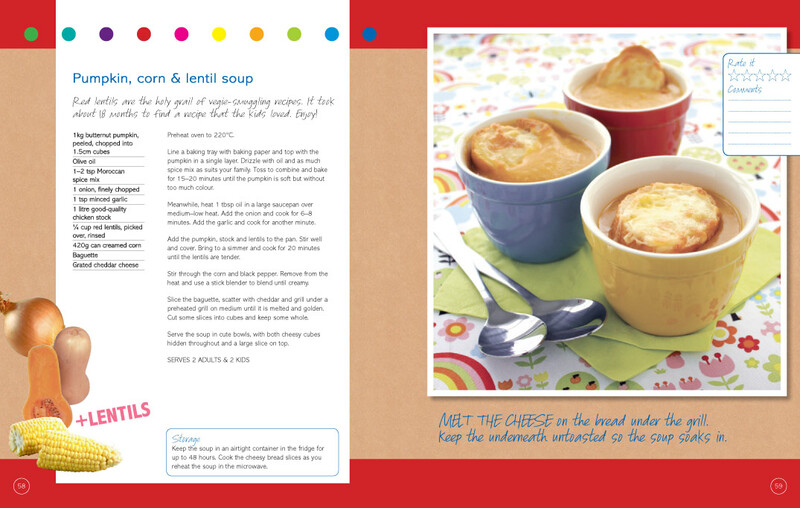 The new Vegie Smugglers 2 Cookbook ($29.95) contains 60 refreshing dinner recipes on 160 full colour pages. Just like the first Vegie Smugglers cookbook it is full of easy, tasty recipes that will help you feed your children a healthy dose of vegetables without them knowing. If your children are always fussing about eating their greens this is the book for you! A real big bonus of the Vegie Smugglers recipes is that most meals are suitable for all family members from young to old (sometimes with a slight change). Add to that the handy tips for freezing, storage and preparation and you can see why this is a must-have book for every family kitchen. To find out more about Vegie Smugglers, to take a peek at some of the recipes and to order online visit www.vegiesmugglers.com.au. Question: What vegetable(s) are you most hoping to sneak into your family’s dinner? For your chance to win 1 of 2 Vegie Smugglers 2 Cookbooks email your name, address and answer to win@hiplittleone.com with BTS Vegie Smugglers in the subject line.